The development continues, even faster than before. Since the last update, many changes have been implemented in all parts of the game and the version v0.97 is almost complete! 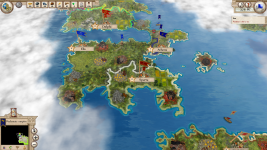 Tens of new, fully animated unit types; 2D "top view" of the game; battle experience; slavery; esprit de corps and many other new features. It got so busy that there was no time left to inform you about all the news we introduced into he game. The development continues - even faster than before. Since the last update, many changes have been implemented in all parts of the game and the version v0.97 is almost complete! Starting with the most visible part of the game, we changed the look of all windows and supplied them with beautiful illustrations. Tens of new, fully animated unit types have been added. Some are designated only for particular players (states) which gives the game a new strategic focus. The old cursors and military standards have been replaced by new ones. 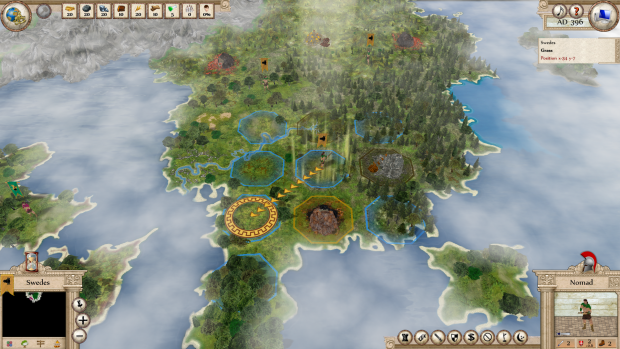 We put a lot of thinking in the tutorial and the new modification is much more intuitive and less distractive. Last but not least, new "top view" has been implemented. 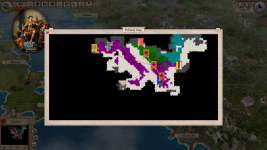 The player can look at the map from a bird view i.e. 2D style without losing any game information. 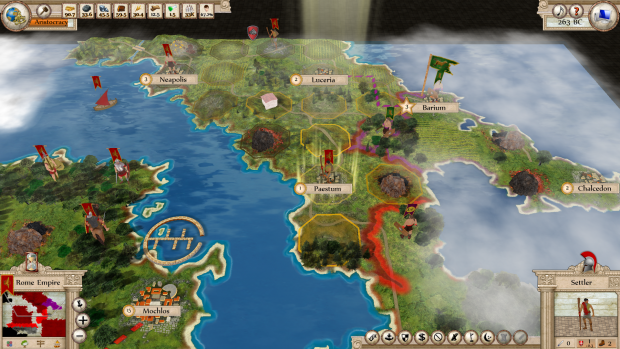 It is not only a perspective of the map but fully functional view in which the game can be played. We got inspired from many suggestions and ideas gathered during user testing at several game conferences. Starting with relatively small change, we added a new functionality - battle experience. Military units harden as they experience life on the front and constant battle. They receive extra strength and defense points when they manage to win and survive. In comparison, slavery and happiness represent much bigger change. Trade with slaves is very lucrative but at the same time it influences happiness of the people. When the general mood sinks below a certain limit, public disturbances, armed revolts and even civil war become a real danger. 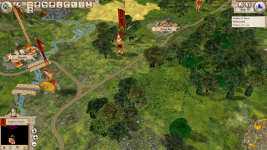 Another new and strategically very important element in the game is esprit de corps. Military successes or defeats influence the morale of the armies, their will to fight. The general mood among soldiers played a essential role in ancient times and therefore it could be the tipping point between victory and defeat. This modification brings a major change into the game and that is why we decided to add it as one of the last innovations before the game release. We also managed to accelerate and improve the AI. It can be a friend, sly political opponent and cunning enemy. Every testing is an exciting experience even for us. Hopefully soon you will see for yourself. We invest maximum of our energy into the completion of the game, but quality is very important for us and so we ask for just a bit more patience, it will be worth it.